Cultural wine tasting session on our terrace*! 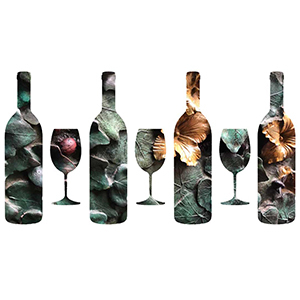 Sommelier Cristina Baisplelt from Enculturarte invites you to participate in an organic wine tasting session with a twist: Try 4 wines whilst Cristina explains its characteristics and at the same time pairs them with the art work by artists related to Barcelona. This edition is dedicated to the Atoning Temple of the Sagrada Familia and the artists who carry on Gaudí’s legacy. The bottles we will open allow us to discover curiosities of the Passion Facade, the glass work and sculptures. Snack on some local cheese and Catalan cold meats and don’t be shy to ask any questions or make comments. Language: We alternate between Spanish and English, but questions or comments in both languages are welcome. * if the weather permits it. In case of rain, the event will be held indoors which is also cosy. Event in collaboration with Sentits Barcelona. L’Hostia, a guided tour of Hospitalet! When you come into Barcelona from the airport, you pass through Hospitalet, one of the densest populated cities in the EU. This is also where you can find one of Barcelona’s IKEAs and where Ferran Adriá was born. And so was Mari! This is why she, together with Petz who adds the view of an outsider, have decided to take you on a guided tour through this eccentric neighbourhood, full of surprises, even for Barcelonians. Do you have an idea for an event on our rooftop terrace? Whether or not you are staying with us, we are happy to host a private event for your birthday, stag or hen due, anniversary, family reunion or company workshop. Here are some concrete ideas!